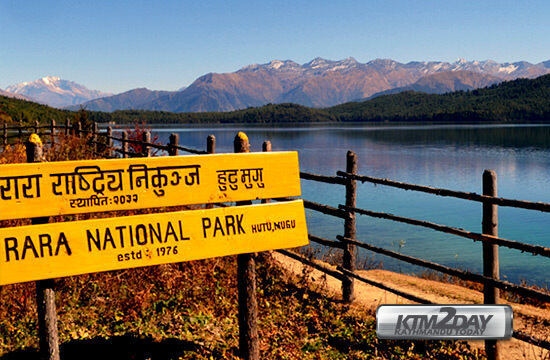 With the end of the monsoon, tourist arrivals at Rara Lake in Mugu district has increased. Visitors are flocking to the popular tourist destination in Far Western Nepal due to favourable climatic conditions. 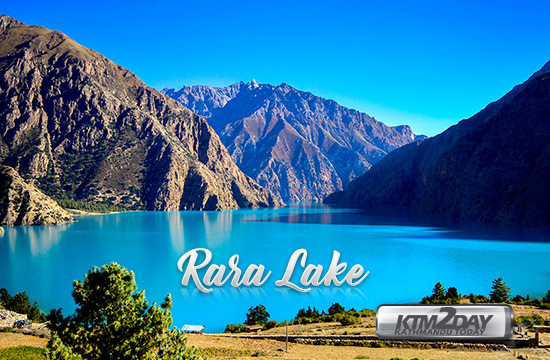 The three months starting from mid-September is considered the most suitable timeframe to visit the lake. Regular flights to the district airport and good condition of roads leading there have also contributed in attracting large number of visitors to the lake. A flight from Nepalgunj to Mugu takes 35 minutes while the driving option takes nearly two days. During monsoon, the road was obstructed at multiple locations due to landslides, severely affecting tourist movement. This meant that hotels and home-stays in the area were nearly empty during the period. 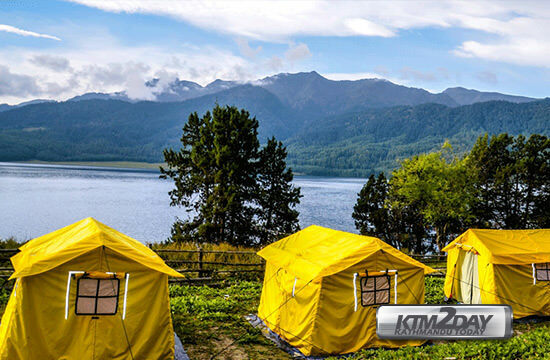 But the situation has changed after the monsoon and one can even see a few foreigners and a significant number of domestic tourists visiting the lake and Rara National Park. Currently, the hotels and home-stays in the region are operating at full capacity. Domestic tourists from cities like Kathmandu, Lumbini, Pokhara, Butwal, Bhairahawa, Biratnagar and Bhaktapur are seen visiting the lake via road as a part of a seven-day tour package prepared by various travel agencies. Over a month, six tourists from the US and nine from China visited the lake, according to the national park. At present more than 150 new domestic tourists are visiting the location every day, according to the park office. The tourists visiting the district reach can access locations like Murma, Jhayari, Talcha and Mathitum, sprawled across the buffer zone of the national park. Apart from sightseeing and boating on the lake, the visitors are seen enjoying the camp fire and local cuisine, according to Prithvi Lam Nepali, official at the park. Locals of the region have started rearing horses in order to provide rides for tourists and earning extra income. According to the local representatives, the region is likely to attract foreign investment in the near future. “A Chinese group has visited our area on multiple occasions to explore investment opportunity,” said Hari Jung Shahi, mayor of Chayanath Municipality.